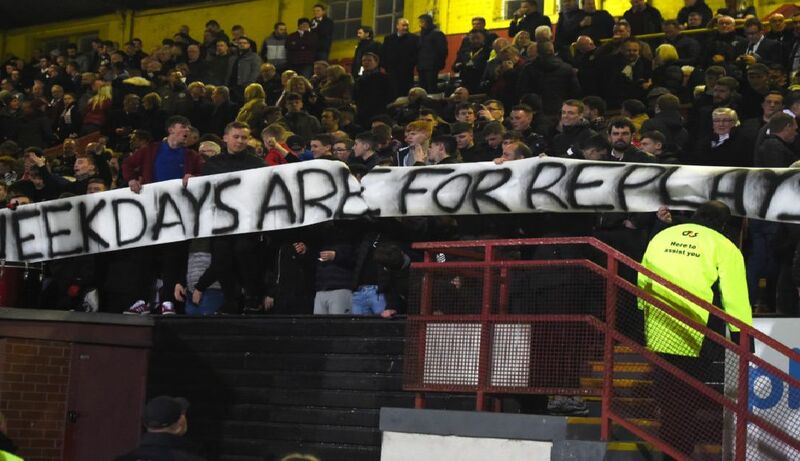 Banners are common place at Scottish football grounds these days: some are designed to offend, some to offer support or pay tribute, while others explicitly make clear the position of a fan base. Here’s a selection of the most notable ones from this campaign so far. Rangers fans pay tribute to Paul Gascoigne prior to the Old Firm clash at Ibrox in late December. Celtic fans send a message of support to Leigh Griffiths after it's revealed the striker will take time away from the game to focus on off-field problems. Aberdeen fans hit out at the SPFL over the arrangement of the Betfred Cup semi-finals. Hearts fans poke fun at Celtic supporters after Brendan Rodgers' departure from the club.